Linette Easton can’t wait for her Season in London where she hopes to meet the man of her dreams. 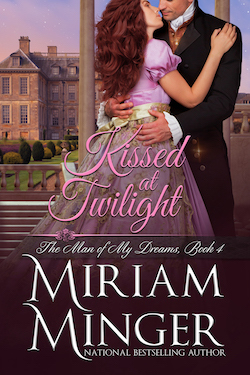 Will she be swept off her feet by a duke, or a baron, or an earl at a glittering ball? As a parson’s daughter, she would never have entertained the notion of marrying into the nobility if her older sisters hadn’t paved the way. Why, then, can she not stop thinking about the handsome new doctor who just arrived in her parish? Adam Whitaker never expected a lovely country miss to turn his carefully constructed world upside down overnight. What has become of the restrained composure that he’d honed during years of medical study after escaping the demons of his past? Yet he learns that she will be leaving Cornwall soon, her head filled with romantic hopes and dreams. Will the woman who has bewitched him realize in time that what she seeks is right in front of her?